Plus Festival of the Lost returns. Another week, another This Week at Bungie update. This time, Bungie breaks down what's coming up in the next couple of patches, plus it confirms the Festival of the Lost will kick off on October 16, 2018, "with a celebration of lost heroes and a new challenge to tackle". "Be it Power, Triumphs, Exotics, or quests, there was an aim to achieve. Ever since Cayde-6 met his doom in the depths of the Prison of Elders, we’ve shared a journey through the discoveries in Forsaken," writes dmg04. "Week after the week, the community conversation has been dominated by the revelation of new secrets and challenges. Some of you have lamented the fact that’s it’s been hard to keep up, but all of these things still await you." Destiny 2 Update 2.0.4 is currently slated for October 16, 2018, and introduces some quality-of-life improvements, including the ability to hover over Lost Sectors to see their name once a player has looted them, and introducing new Legendary drops Added Through Fire and Flood, Zenobia D, and Crooked Fang-4fr—so "Edge Transit will have some company". 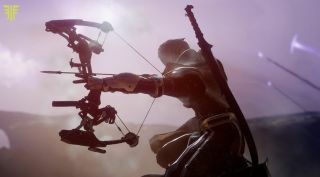 Scouts will get a boost in PvE—including Gambit PvE enemies—plus there'll be new transmat effects, too. I'm most excited about the ability to track up to three pursuits at once, though. Destiny 2 Update 2.0.5, on the other hand—tentatively scheduled for October 30, 2018—hopes to rebalance functionality of Distribution/Dynamo perks, boost Sword and Fusion Rifle damage in PvE further to player feedback, and increase the viability of Malfeasance in PvE and Gambit activities. Bungie is also adjusting the visibility of the Titan’s Banner Shield, making it easier for players to see through the effects, and adjusting Exotic rewards to "help reduce the number of duplicate drops". There's also changes coming to Nightfall—your chances of grabbing a Nightfall Unique Reward will increase each time a Nightfall is completed without a unique drop—and Bungie is also adding Masterwork Cores as rewards for specific Spider "Wanted" bounties and general Scrapper bounties. Have you been a little concerned about the spawn rates of the Ascendant Primeval Servitor? You're not the only one, and Bungie now says it's making adjustments to how frequently it will appear, confirming that "during week three of the curse cycle", the Ascendant Primeval Servitor will have "almost the same chance to spawn as any other Primeval". While it will spawn less often outside of a full-curse week, you should still see it more than you currently do. Bungie is also developing a fix for the instances where a team will defeat the Ascendant Primeval Servitor, but the opposing team receives credit for the kill. There's more, particularly about Gambit and the raid, so head on over to the official website to get the full details.